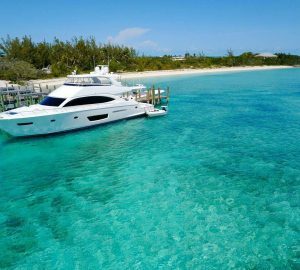 Measuring 24.99m (82’), MARYBELLE is a lovely luxury motor yacht built by the US builder Viking with inviting interiors by Joseph Dirand. 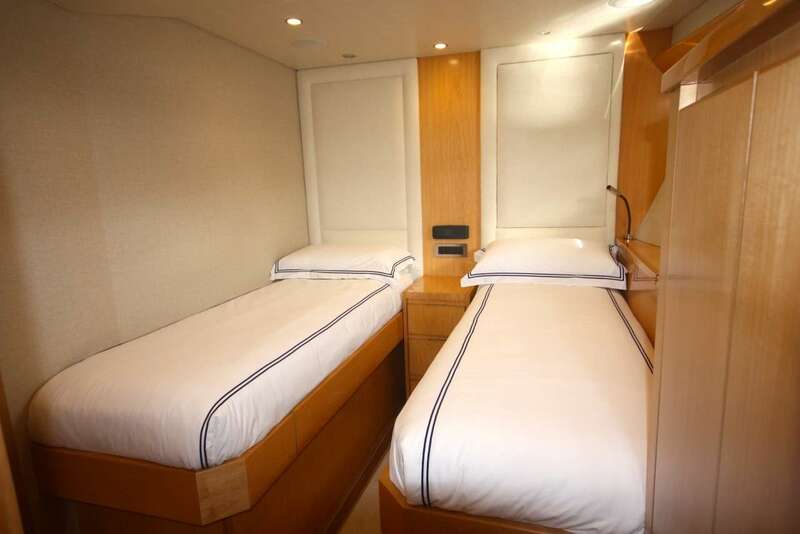 She was launched in 2018 and offers accommodation for up to 8 guests in 4 cabins. 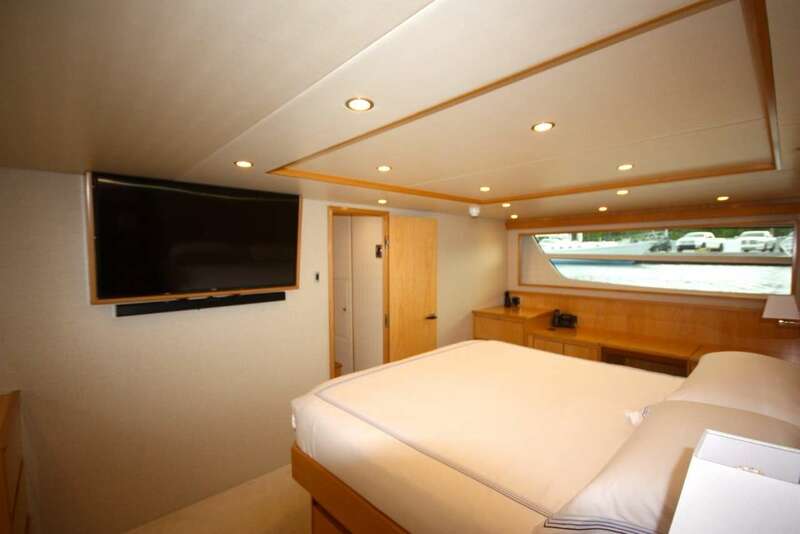 The yacht is fully air-conditioned with a number of great amenities. 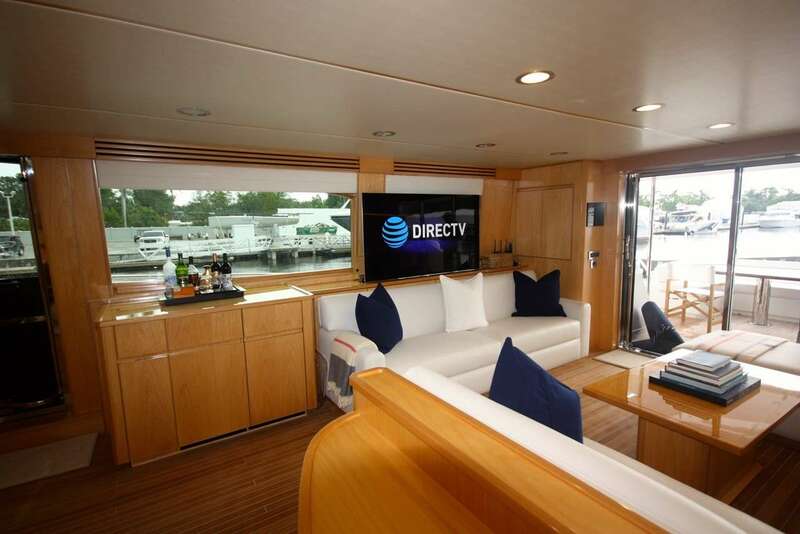 The deck saloon offers great sitting/lounging area with a small office and is fitted with a TV. 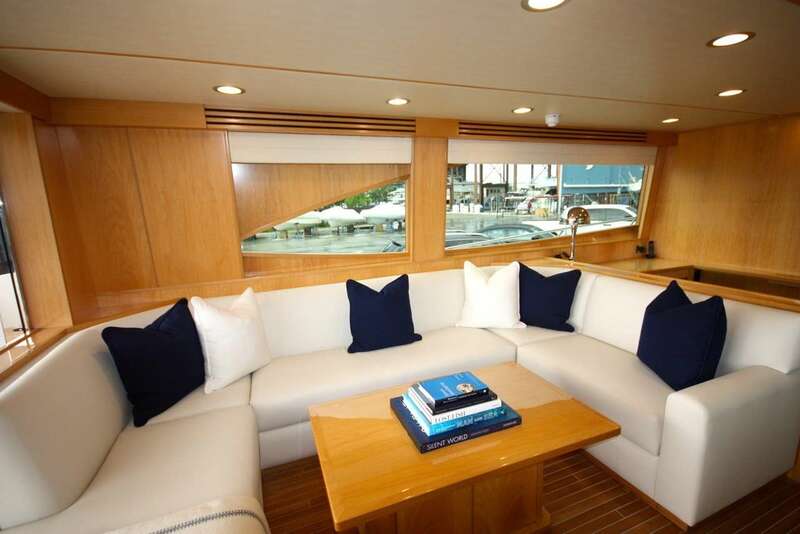 The main deck aft dining table seats eight guests. The ambience is welcoming and warm. 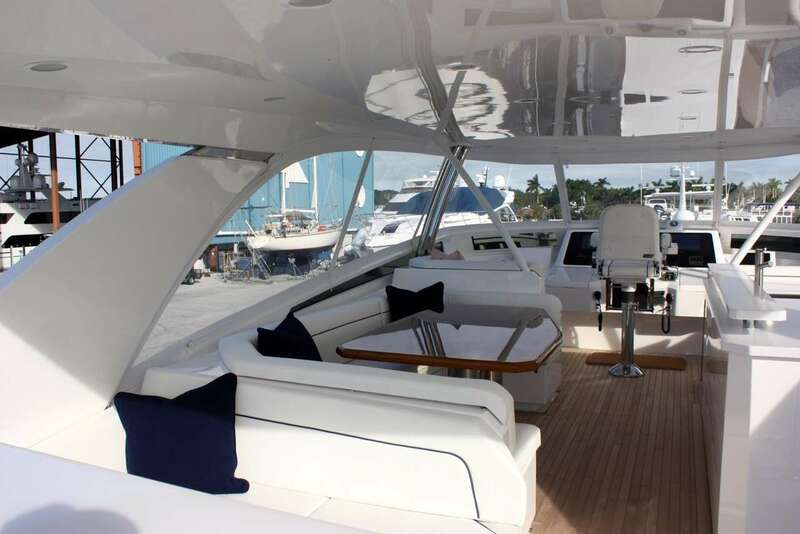 The aft deck has a large sun pad, ice maker, wet bar as well as a barbecue. Forward, there is a shaded seating area with sun loungers on the bow. 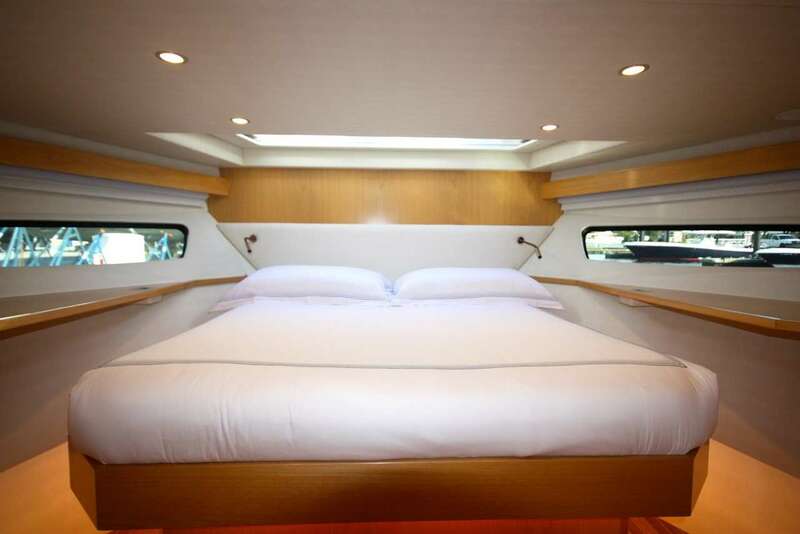 The cockpit offers seating for six guests while fishing or cruising and when at anchor the whole cockpit can be protected by a large Bimini. 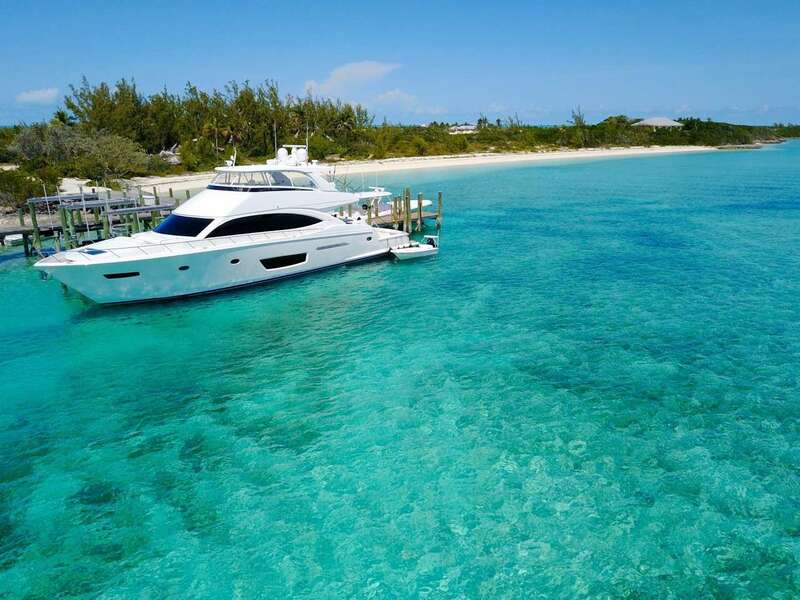 The yacht is powered by two C32 Caterpillar 1925hp Diesel engines powering her up to a speed of 30 knots while her cruising speed is 24 knots. She has a range of 100 nautical miles at 12 knots and a fuel consumption of 160c US Gall per hour. 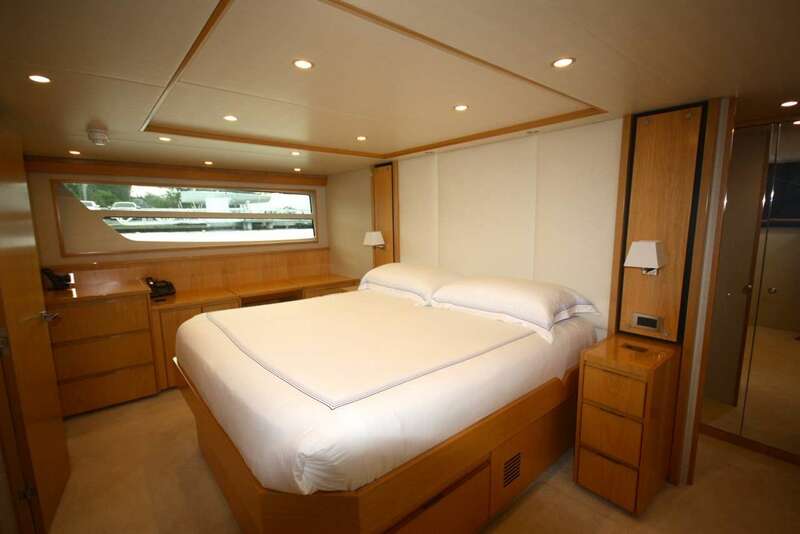 Accommodation includes one full-beam master cabin with two large closets, A/V equipment and ensuite bathroom. 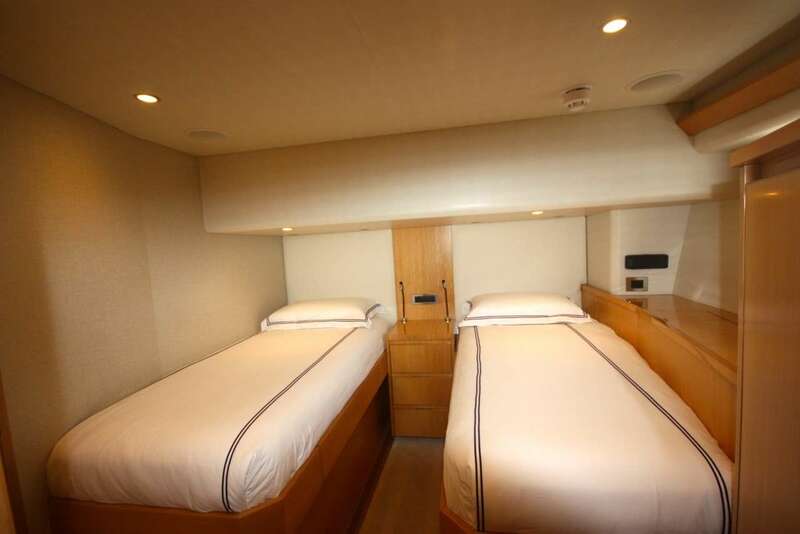 Two twin cabins are located port and starboard and both have ensuite bathroom facilities as well as a audiovisual equipment. 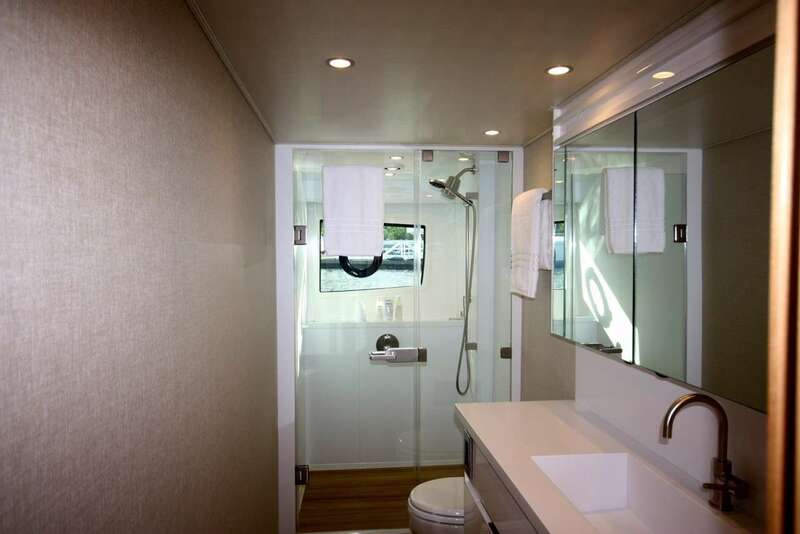 The VIP cabin offers plenty of sunlight, has an ensuite bathroom as well as A/V equipment. Tenders & Toys 15' dragonfly Fly fishing boat, perfect for fly/inshore fishing, spearfishing, snorkelling, running into the beach 2 x BOTE paddleboards with cooler and rod holder attachments Snorkel gears EXTENSIVE FISHING GEARS: 2x Daiwa mp3000 electric deep drop/dredge reels on custom rods 1x Daiwa Tanacom 1000 kite reel 2x shimano Tiagra 50wLRS reels on custom rods 2x fin nor 50w reels on custom rods. One is setup with wire 2x shimano Talica 50w on shimano rods 1x Shimano 30wLRS on custom rod 4x Shimano Talica25 on custom rods 1x fin nor 16 on fin nor rod 2 x penn spinfisher 6500 on penn rods 2 x shimano sustain 8000 on shimano rods 2 x star rods 2500 reels on star rods 1x sage 8wt fly rod 1x TFO 8wt fly rod Assorted Headhunter and Riffe pole spears and 6 Hawaiian slings We are setup for everything from fly fishing through to heavy offshore lure trolling. We specialize in fly fishing and dead-bait offshore trolling.